This is the house where the dog lives, inside the house where the people who own the dog live. This architecture is a living space for the dog, as well as furniture for the people, a garden within the house, as well as a gentle boundary between the people and the dog. Our plan offers a house in which can be combined many different things that arise in the humans’ and dog’s living space, architecture for a space that holds a new abundance. We’ve taken small (7mm) square panels of hinoki [Japanese cypress] to make a grid pattern in which each square is 200mm, to which we’ve attached 2mm-thick transparent acrylic board, in essence creating a structure that looks like a 800mm-cubed shelf. 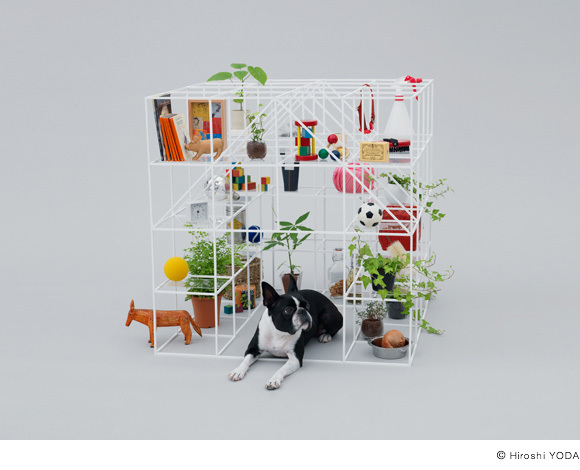 The hollowed out interior section of this lattice functions as the dog’s residence, while on top of the clear shelf are stored various things for either dog or humans: a collar; a dish; books; a plant…. This scenery, in which various things relating to daily life surround the dog, overflows with chances for the dog to proactively get involved in that daily life, and projects a new relationship between humans and dogs. Humans artificially turned dogs into pets. Dogs, as pets, therefore lose their animal understanding. NO DOG, NO LIFE! is a new architectural space meant to act as a framework within which humans and dogs can, as they live together, interact proactively." Born in 1971 in Hokkaido, Japan. Graduated in 1994 from the University of Tokyo, Faculty of Engineering, Department of Architecture. 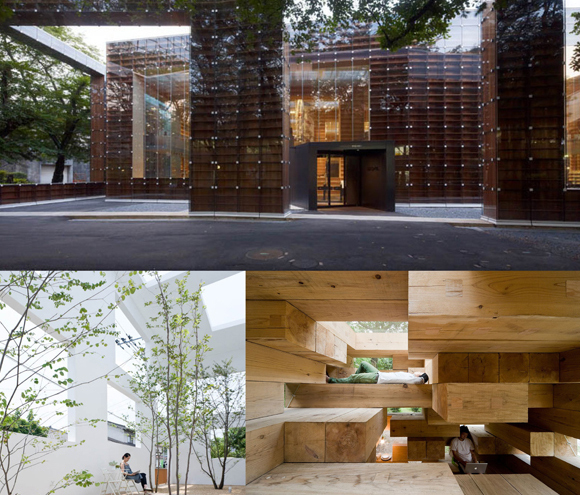 In 2000 established Sou Fujimoto Architects in Tokyo. The firm has designed many private residences in Japan and Europe, including the Primitive Future House in Basel, Switzerland (2008). 2010 saw the completion of the Musashino Art University Museum & Library in Tokyo.